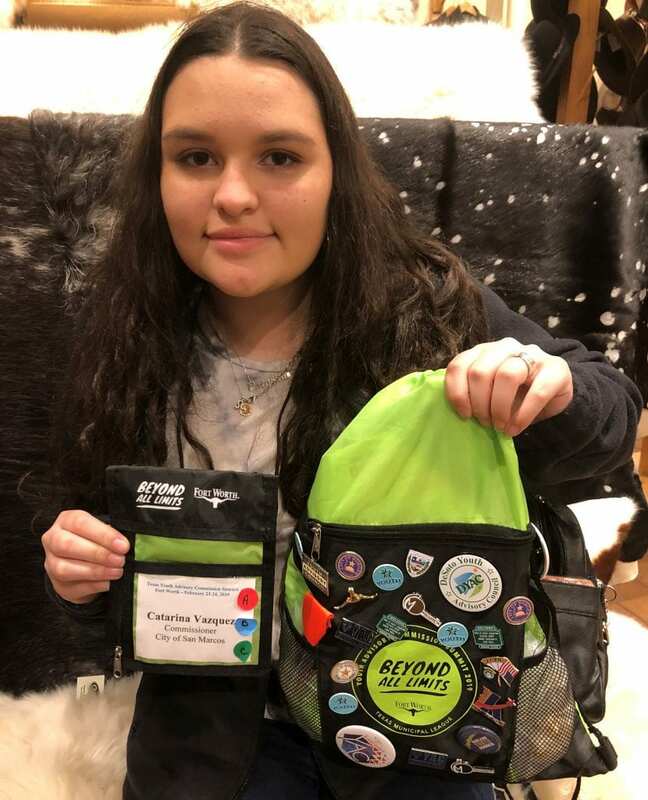 Catarina Vazquez, SMA’s representative to the San Marcos Youth Commission. I have the privilege of representing San Marcos Academy on the San Marcos Youth Commission (SMYC). This board, made up of high school students from various schools, focuses on problems in the community that specifically affect youth. 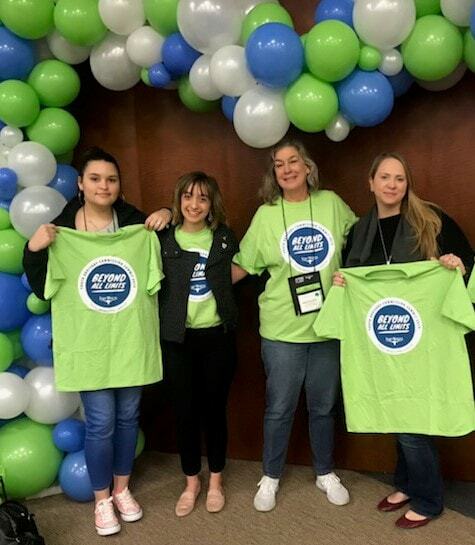 Recently, I was invited to attend the annual Youth Advisory Commission (YAC) Summit in Fort Worth along with the vice-chair of the board, Aubrey Ashton. The purpose of the YAC Summit is to provide an opportunity for cities, schools, and community youth to share experiences with their programs and the impact that the programs have had locally. Catarina and Aubrey get certified in CPR. 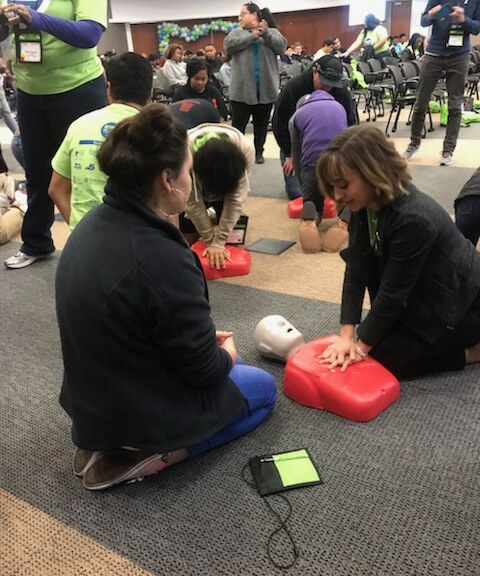 Sessions at the YAC Summit covered topics such as gun violence, money management, anxiety and stress, inspiring others and first aid. The speakers included Betsy Price, Mayor of Fort Worth; Richard Santana, Founder of Homeboy Goes to Harvard; and Khadevis Robinson, track coach and former Olympian. The Summit was a chance for us to meet about 400 other students who do the same thing we do in different parts of the state. Catarina with Aubrey Ashton, Kim Porterfield and Jessica Ramos. The city of San Marcos gave us pins to give out to other commissioners. The trading of city pins is a popular tradition that takes place at these summits. Another neat opportunity that was presented at the YAC Summit was a CPR certification course, which I completed. There was also an online scavenger hunt around the campus of Tarrant County College. Somehow, I managed to get first place in this event and won a $100 visa gift card. 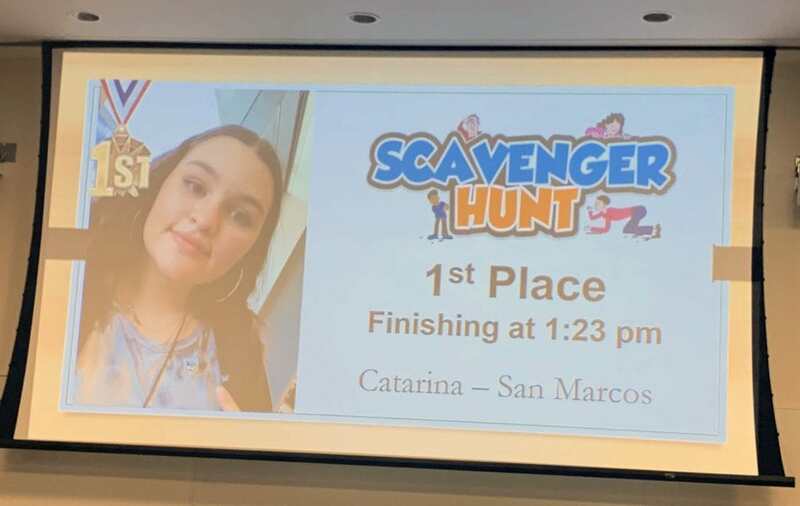 Catarina wins the Scavenger Hunt! While I had a wonderful time at the Summit, it was primarily a learning opportunity. It was also a tool for developing our own local event. Our Youth Commission is currently planning a Leadership Conference. It will be free to all high school students, including food and t-shirts. All students who attend will receive service hours for their participation in the conference. We are planning to have a keynote speaker and breakout sessions covering an array of topics, such as financial literacy, college and careers, healthy living and relationships. This event will allow students to be part of something in the community. It will also give us information that will help us focus on the things that matter most to local youth. The Conference theme is “Live Your Best Life.” It will take place Saturday, April 6, from 8:45 a.m. to 2 p.m. at the San Marcos Activity Center. It is open to all San Marcos-area high school students. ​Online registration is now open for the conference, so please join the Youth Commission and sign up!